John Wooden lived 99 2/3 years and is considered by many to be the greatest coach in history. His teams at UCLA won ten of 12 national championships, 88 games in a row, and he was a 3 time all American in college, once sinking 134 foul shots in a row. His players loved him and he developed several systems for success. After reading his book published shortly before what would have been his 100th birthday on October 14, 2010, I figured I could learn much from him. Here are some of the things I learned. He kept good records. His father gave him a note card with suggestions. He attributes much of his success to his father. His father gave him 7 suggestions to follow and he has tried to live up to it every day of his life. Be true to yourself. Help others. Make each day your masterpiece. Read good books. Make friendship a fine art. Build for a rainy day. Be thankful for blessings each day. I liked better what his father gave him in three rules: Don't whine. Don't complain, don't make excuses. He loved teaching. And I like the little fellow poem that guided him in his relations with his 3 kids and his students. What he sees me do, he tries. Like me he says he's going to be. Through summer's sun and winter's snow. He was married to his college sweetheart Nellie for 60 years and she came to every game he coached. Apparently he never earned more than 50000 a year, and he often turned down jobs that would have paid him much more because he had given his word and he never wished to tell a lie. His pyramid of success is famous. It has at the bottom hard work, friendship, loyalty, cooperation, and enthusiasm then goes up to self control alertness action and determination. Then fitness skill term spirit poise confidence personal best. How would I apply these things to markets? I like the never complaining and never boasting. The hard work, and loyalty and enthusiasm. The attributes of the pyramid of success would seem to be good for any activity. His humility is a good model for all who wish to achieve success. He didn't have his hand out for money and went beyond the dollar and the clock The fact that he was such a good player must have made him a great coach. Apparently he had every minute of every workout planned. And he insisted on it being a team game rather than a forum for a star. I guess that's a bit easier when you have Alcindor and Walton on your squad. I would have liked to know more about his day to day life and how that suited him to live to 100 and be loved by so many. Certainly the philosophy of life must and the pyramid of success much have had much to do with it. He took losing very well, and always felt sorry for the teams that he beat. I can't find anything that needs much improvement in his life as a model for a teacher, father, or speculator. I thought the Chair disliked cooperative games like soccer and (I presume) basketball. What's the story there? Never did I want to call the first time-out during a game. Never. It was almost a fetish with me because I stressed conditioning to such a degree. I wanted UCLA to come out and run our opponents so hard that they would be forced to call the first time-out just to catch their breath. I wanted them to have to stop the running before we did. At that first time-out, the opponent would know, and we would know they knew, who was in better condition. He never called a time out at the end of the game either. Sat there with his program rolled up most of the game for he believed UCLA was better prepared mentally, too. His players knew exactly what to do. Confusion and pressure at the end of the game was their ally. BLS data was used for the attached chart, which plots % of population employed 1948-present (Employment population ratio, %, age 16 or older). From the late 1940's to the late 1970's, % of population employed varied in a tight range between 55% and 58%. Starting in the late 1970's, % employed moved to a higher regime, staying above 60% from 1987 until 2009. The recent decline which began in 2007 dropped % employed to about 58% - a level not seen since 1983. Major declines corresponded with recessions, as marked: 1980-83, 1990-92, 2000-03, and 2007-present. The regime change to higher % employment could have occurred for many reasons, including more women entering the workforce, deferred retirement, and less business cycle volatility. Is the recent drop a move back to the lower regime, or simply a temporary recession-decline in the higher regime? From the late 1940s to the late 1970s, % of population employed varied in a tight range between 55% and 58%. Starting in the late 1970s, % employed moved to a higher regime, staying above 60% from 1987 until 2009. 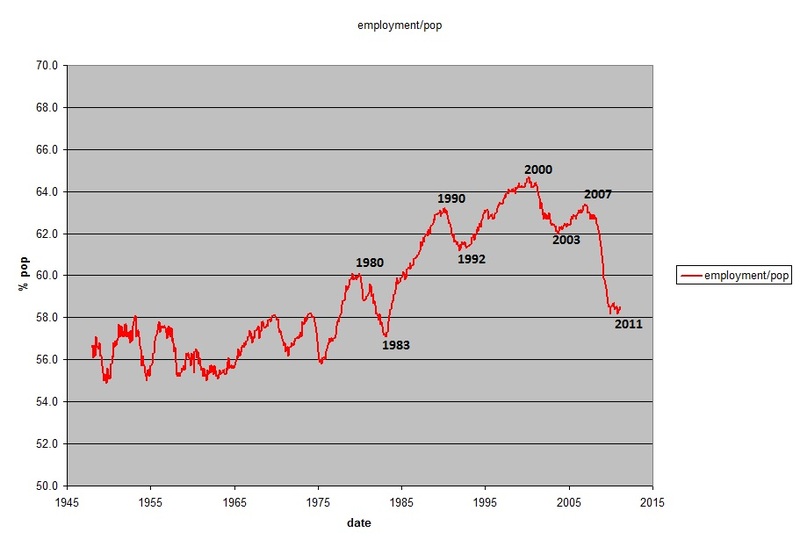 The recent decline which began in 2007 dropped % employed to about 58%– a level not seen since 1983. Major declines corresponded with recessions, as marked: 1980 83, 1990-92, 2000-03, and 2007-present. The regime change to higher % employment could have occurred for many reasons, including more women entering the workforce, deferred retirement, and less business cycle volatility. Is the recent drop a move back to the lower regime, or simply a temporary recession-decline in the higher regime? Kim, my humble reason for higher employment trend is more consumption and more debt incurred by American since late 70s, early 80s. Americans needed the money for a larger home, second home, second car, etc, basically greater spending and consumption– to pay off more more debt. (top chart). top chart also parallels greater debt incurred by American. 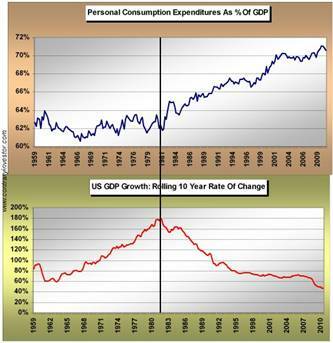 Lower chart of declining GDP (parallels a declining savings rate and wages that have not kept up with inflation). Average American less wealthy (very top class now is wealthier with government help, however, that is another topic). Also, going off gold standard encouraged more central bank money printing to inflate away federal debt. Also now takes more debt for every dollar in GDP gain. A study shows that round numbers pack a psychological punch, motivating pro baseball players The researchers examined the batting averages of Major League Baseball hitters from 1975 to 2008, looking for evidence that crossing the .300 mark inspired unusual effort in a season's final games (including sitting out a game, or an at-bat). If it didn't, the distribution of averages from .298 to .301 would be more or less random. The researchers, however, found that the proportion of players who hit exactly .300 was nearly four times greater than the proportion who hit ..299 (1.4% versus 0.38%). We've all seen too many black swans over the past decade. But why must all the black swans be negative? Why can't we have a black swan on the positive side? This is NOT my prediction– but it's worth contemplating the following from Jan Hatzius (GS). In a nutshell, he alleges that much of the recent economic sluggishness is attributable to deleveraging in the private sector. And he suggests that this is coming to an end. And, why is Hatzius' prediction any wackier than Mr. Roubini's repeated predictions in 2005 and 2006 and 2007? Jan Hatzius, chief US economist of Goldman Sachs, is one who has become more positive. "There's been a clear improvement in underlying final demand," he says. "My explanation is that we're seeing a slowdown in the pace of deleveraging in the private sector." Deleveraging is the fundamental reason why the economic recovery since 2009 has been so slow. It explains why unemployment remains stuck at 9.8 per cent. The call on consumption is contentious because debt levels in the US remain high by historical levels. Household debt, at about 90 per cent of GDP, is back to levels seen in 2005 but it would take years of deleveraging to return to the 80 per cent seen in 2002-03. Consumers do not need to stop saving, however. They just need to stop increasing the rate at which they save for the economy to grow. Which begs the question where did the energy of the housing bubble (and related lending/spending) go, and is it now durably irrelevant? The attached charts Shiller real home price index, which shows the 2006 bubble dwarfing any prior local maxima/minima for the last 120 years. Real home prices are now near where they were in 2004– which is still above all prior levels. The FED over-rules the law of post-bubble over correction? 7. Market would surge–second half after it wakes up to the fact of growth without a fed bummer. 8. banks would start to lend more in second half. 9. Real estate would firm some and so forth–growth begets growth. 10. Fed would leave it alone and overheat in 2012 would be a risk. Jobs and job outlook in the spring 2011 would be key to overcoming recession inertia. I don't know if we are there yet–3 dollar gas with some predicting 5 next year will not help the prospect of saving less. Gas prices need to be 2.50 or less to give this scenario a fighting chance. 5 dollar gas would be an inflation goose (swan). I would agree that Hatzius is certainly correct in that a lot of the economic malaise can be attributed to deleveraging. It is evident in the Fed series TOTBKCR, CIBOARD and TOTALSL, bank credit, commercial and industrial loans and consumer credit respectively. You can also look at the monetary aggregates (going nowhere) and make calculations of the velocity of money (so low as to be underneath the outhouse). What I cannot justify is the prediction of a turnaround. Admittedly at some point those who wish to deleverage have nothing else to deleverage. But that only manifests itself in a mean reversion of the rate of decline. It does not necessarily manifest itself in increased leveraging activity, presumably a result of economic growth. Thus we believe that those who see a decline in deleveraging as evidence of upcoming economic growth are extrapolating way beyond what is reasonable. Many of the indicators we follow are extremely bullish, and yet others scare the daylights out of us. This is a time of mixed signals. The speculator must make certain that he goes into his activity without preconceived ideas, for if he perceives things to be bullish he will certainly find indicators which reflect that belief. 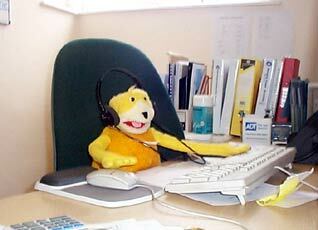 But here's the rub: it's the same with the bear. It may simply be too soon for the unequivocal good things to happen or be evident. I believe there is evidence that decision makers do not act on anticipated tax relief, but wait for it to actually take effect. Also, the recent tax legislation was not a drop in costs, but the suspension of an increase, which is not the same. Other than taxes, entrepreneurs tend to find a way to cope and then a way to eke out profit. No one is sitting around just waiting for the deus ex machina. To some that means outsourcing (perhaps overseas) and being maligned for doing so. There have been some private equity deals lately. All of that repositioning is good eventually. Maybe we just need to wait for the fog to clear a bit. 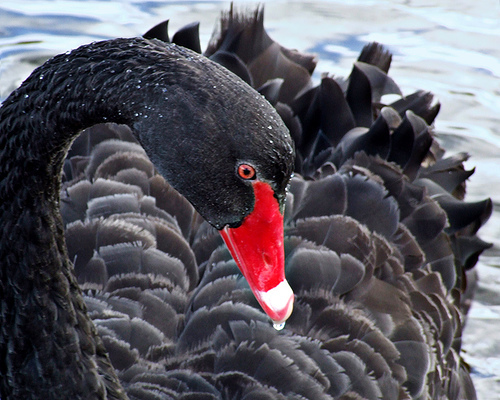 Rocky, there could be a black swan event next year, but probably not in GDP growth. The last time we had over 7% growth was in 1984. This past recovery in 2002-2008 only had one year of GDP growth over 3%. That period had very low rates and benefited from tremendous credit expansion with huge housing growth, a construction boom, massive home equity withdrawal, etc. only 2003 had a GDP over 3%. It was 3.8%. If hatzius believes in 6%- 7% GDP growth for 2011 or 2102, (basically the 2002-2008 recovery replicated next year at over twice that past period's 3% GDP rate growth) in a current environment of high unemployment, negative home equity and facing city and state layoffs, then he would be worthy of more than the black swan award. 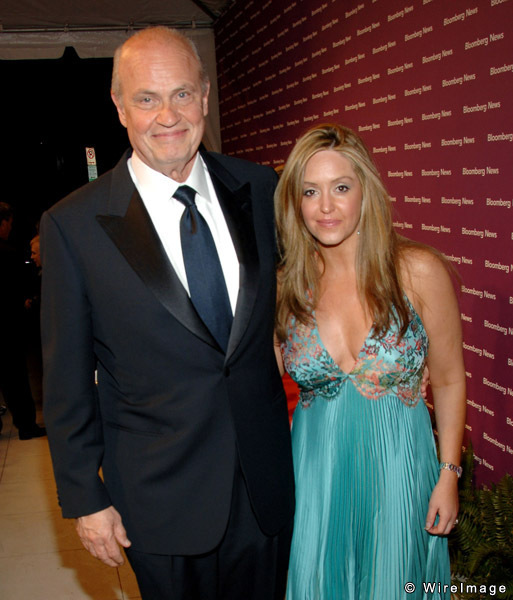 Maybe Fred Thompson's "droopy eyes" are because he is the only candidate with double duty… ever wonder why Bill Clinton was a tireless campaigner? I have spent one week of my life in an Amish home. I was the guest. That family appeared to me to be wholesome, content, perhaps quite happy, and solidly into their lives. The lifestyle questions you might ask may well require you to be an Amish man to understand. And from the joy in that household, that Amish husband gave me to understand the nature of joy was robust. He knew how to keep an Amish woman happy. 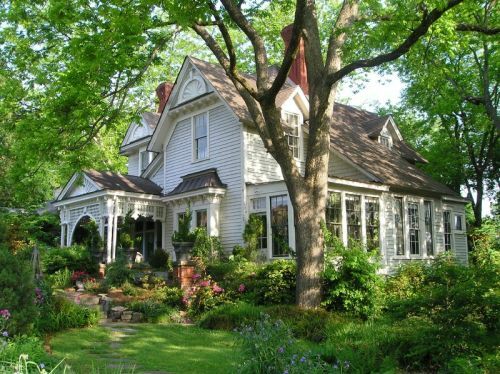 She was most loving to all in that home. You need to understand Amish cultural life. How do you keep an Amish woman happy?